Encountered my first Ke-Ni Ostu player that wasn't a seal clubber. Wow that was painful watching that Kenny - what a waste of the most broken tank in Blitz. Thing is, if you're not a very good player there is no point playing the Kenny as you're always going to get funneled by anyone that knows about the tank. Seriously though, it always triggers me when I see players with 13k battles in the Kenny. That is serious abuse and anyone that props up their stats with that tank is nowhere near as good as their stats might suggest. Just finished a 2 vs 5. In a tank that was never meant to carry. Edited by ZIGZAGZ, 01 March 2019 - 05:15 PM. great! Grinding this TD line is so painful, I plan to do it during mad games II! 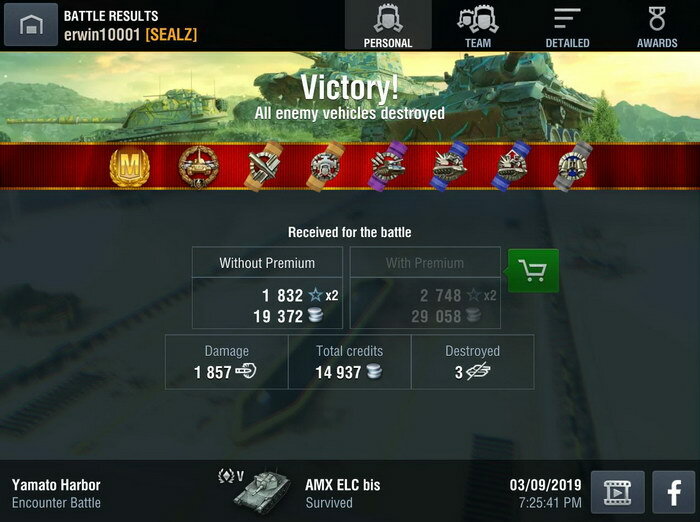 played AMX ELC to get xp to buy the AMX 12. Will grind the AMX 12 to 100% at Mad Games! Edited by PANPAKAPAAAN2427, 10 March 2019 - 09:57 PM. 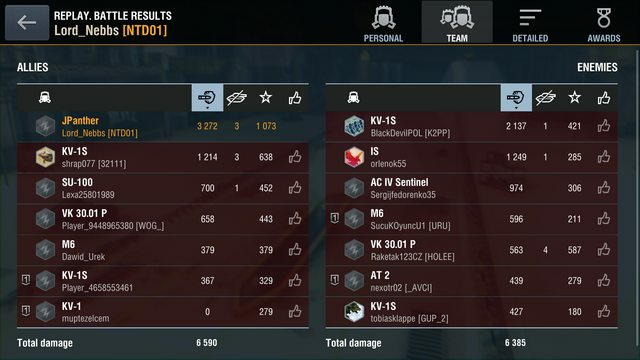 Today, i managed to play and win with a few interesting Kolobanovs. Here's one from a little while ago that I never got around to posting. 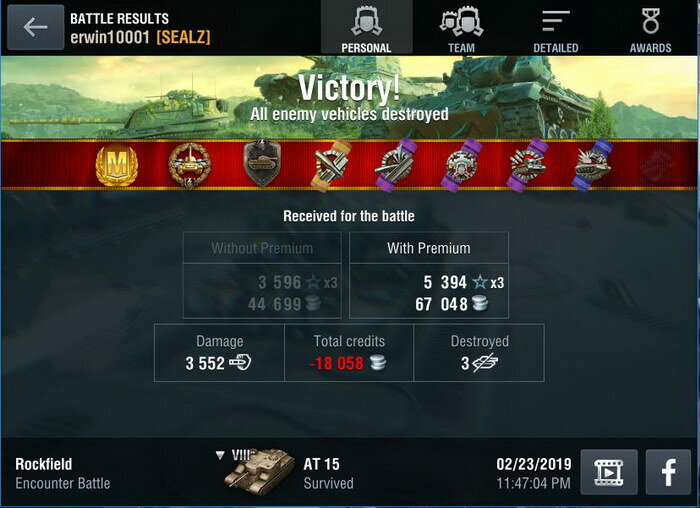 Had to work a bit harder for this than for the SU-152 ace I posted earlier in the thread. 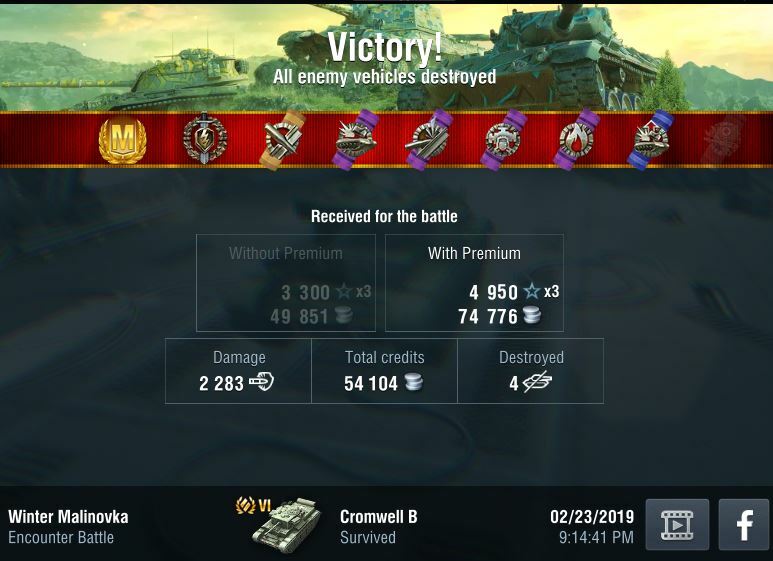 Then I picked up a second ace in the same day for the same tank. 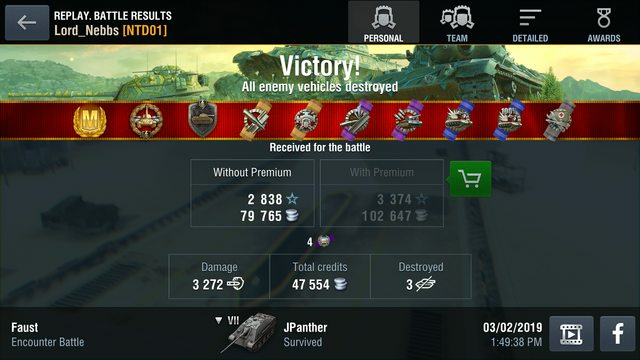 This one was expensive too, despite the win - again I went through all my AP and had to shoot APCR. Nearly ran out of that too! Worth it though as there was a nice little 'first' waiting for me at the end of the battle! Edited by BossArdnutz, 21 March 2019 - 06:35 AM. Disagree. The Emil is fine both stock and fully buffed. The borsig is often played with the stock gun intentionally (for some reason). Edited by Esh11, 11 April 2019 - 06:08 AM. Nah I asked for a name change from a mod and it recently got changed. It's still that same old Mastery thread. Probably to closest thing I'll ever get to an M on this thing.